Applying to get a personal loan with bad credit may seem like a trying experience, but it is not impossible. Even with bad credit, personal loans are available. Ironically, by using a personal loan responsibly, you can work to improve your credit, get up to date on your payment history or consolidate loans and pay off debt to repair your credit. Continue reading to learn about why getting a personal loan with bad credit can actually benefit you. A personal loan is a type of installment loan where money is borrowed from a bank, credit union, or lender and paid back with interest via fixed monthly installments. The life of the loan typically ranges from 1 to 5 years, depending on how much money has been borrowed. Personal loans come in two forms: secured and unsecured. The difference between the two is that secured loans are backed by some kind of collateral, like a house or car, whereas unsecured loans are not. Getting a standard loan with bad credit can be difficult. Those who have experienced financial troubles do not have that many options. Bad credit means approval for a loan can often be challenging, with many lenders reluctant or willing to offer a standard loan to someone with a poor credit history. If a loan is approved to a person with bad credit, typically it will be given with higher interest rates or subject to more fees than those with good credit. Understanding your credit score can help with securing the best possible terms for a personal loan. The number of your credit score is used to weigh the level of risk the financial institution is taking if they lend you money. When applying for a loan in the US, your lender will look at your FICO credit score first. Credit scores can range from 300 to 850 with the lower number perceived as a greater risk. FICO, the Fair Isaac Corporation, established the dominant credit scoring model that lending institutions use today. Your score is calculated based on five important factors found in your overall credit report. The bulk of your credit score is made up of several facets. 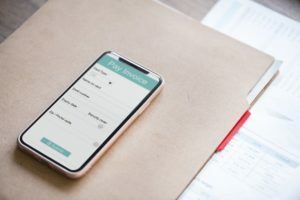 The first and most important factor is your payment history, which shows whether you’ve been paying your bills on time and comprises 35% of your score. The secondary factor is your credit utilization ratio, which comprises 30% of your score. The ratio is determined by the amount of credit that’s available to you that you are actually using. The lower the percentage of credit you use, the higher your credit score will be. The next three factors make up the rest of your credit score. The length of your credit history comprises 15% of your score, so after you pay off accounts be sure to keep them open. They count positively to improving your credit score. The types of credit you use, mortgages, car loans, personal loans, credit cards, etc., accounts for 10% of your credit score. Lastly, is the opening of new credit, which accounts for 10% of your score. Never open several lines of credit at once because it is has a negative impact on your credit. One of the best avenues for getting a loan with bad credit is to work on improving your credit history first. Build up your payment history by paying your bills on time and lower your credit utilization ratio by paying down a credit card. Need cash now? Consider a cosigner is an option, or get multiple quotes from lenders who offer loans to those with bad credit. You could also opt for a secured loan if you have an asset such as a car or home equity as collateral. Finally, another avenue for getting a loan with bad credit is through a title loan company. Tio Rico is a title loan company that offers innovative, hassle-free lending plans for individuals with bad credit who are in need of cash now. Tio Rico provides flexible personal loans and can process and approve your personal loan application in as little as 30 minutes. Offering superior customer service, Tio Rico works closely with people and families who have bad credit and are trying to move forward. Whether for emergencies or consolidating multiple loans, Tio Rico will help you get a personal loan with bad credit. Contact us to learn more today!